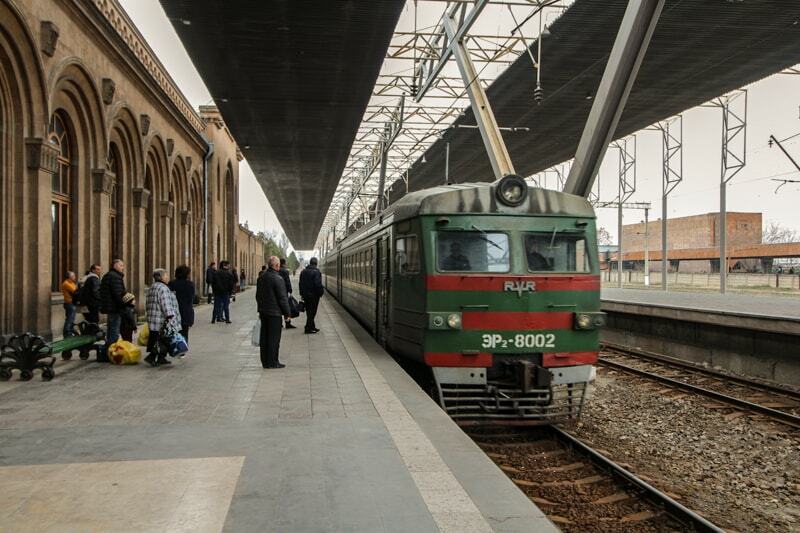 Trains are not as ubiquitous in Armenia as they are in other countries, but they definitely do exist. The main railway station in Armenia is the Yerevan Train Station. 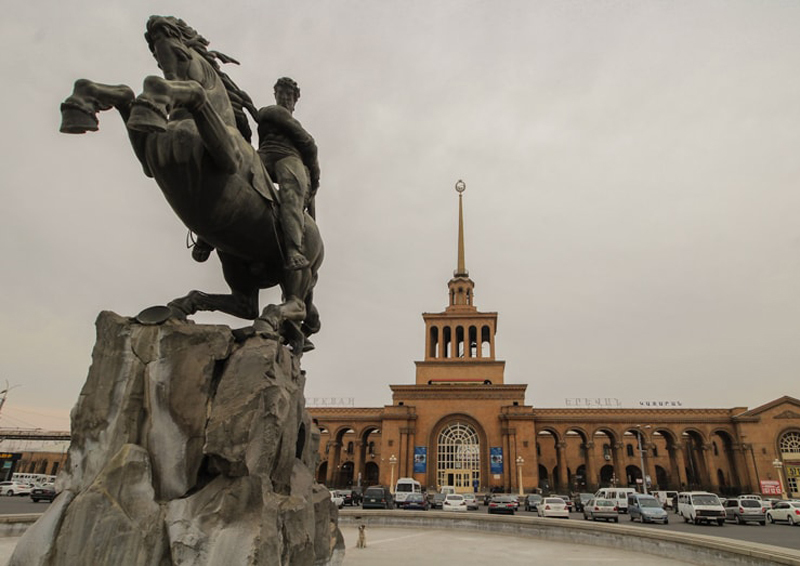 This is a guide to the Yerevan Railway Station’s history as well as its function and purpose in the Armenian capital city today. This guide will also include information on how to get there and purchase train tickets when you are there. 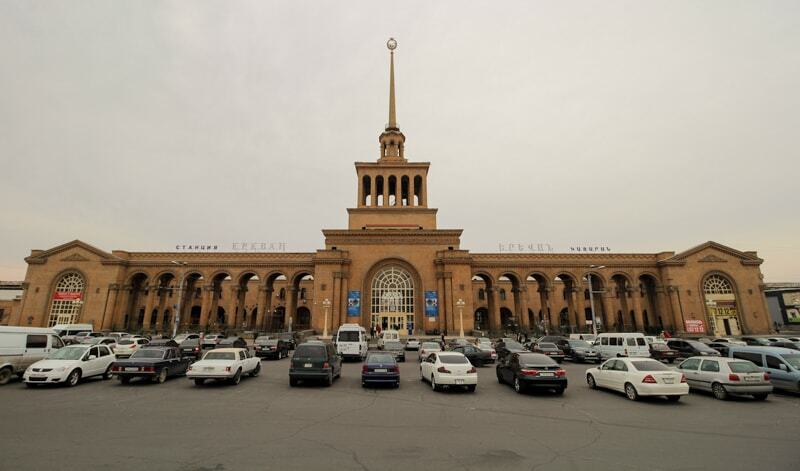 Where Is the Yerevan Train Station Located? What Destinations Does the Yerevan Train Station Serve? 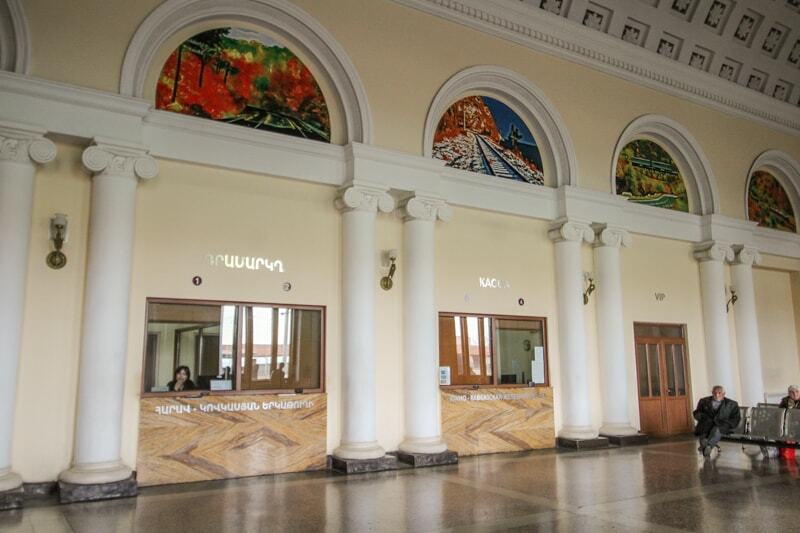 Even though Yerevan has had a train line since the first couple of years of the twentieth century, it didn’t have a proper train station until the 1950s. By 1950, Yerevan was connected to several other cities by train, and the Soviet regime decided to make Yerevan a much more important hub by constructing a large train station. The colossal train station was built in 1956 to improve Yerevan’s standing, and it was designed in such a way that the Soviet influence is more than apparent at first sight. It is large, imposing, and extremely Soviet in its appearance. 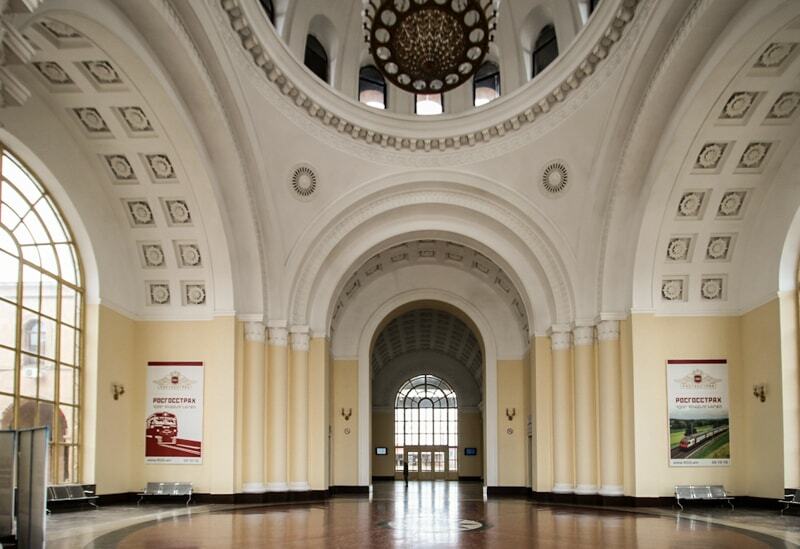 However, unlike most typical communist and Stalinist buildings, the train station also has certain traditional elements of Armenian design and culture. For example, the train station almost has a feel like that of an ancient Middle Eastern trading post, though it’s definitely still more SovMod in its outright appearance. The old Soviet Armenian coat of arms is flaunted on the top of the enormous pillar, and the color of choice immediately brings memories of Stalinism. The station is not only elaborate and detailed on the outside but also on its inside as well. 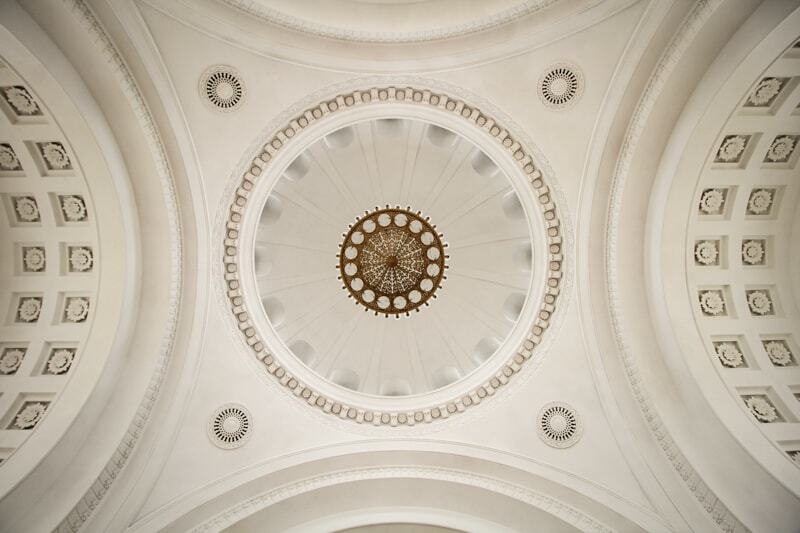 The ceiling is tall and the interior is almost exclusively white. There are intricate and ornate decorations on the ceiling, too, which are indicative of its Armenian past. 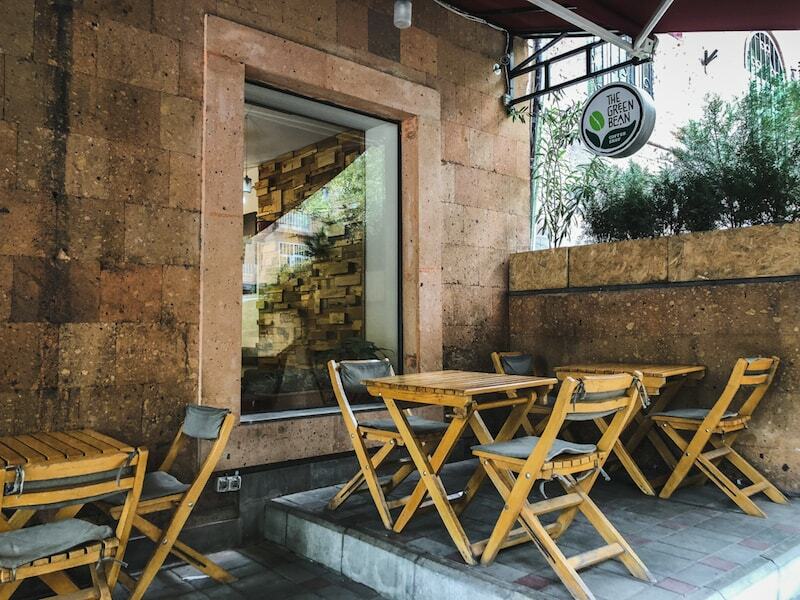 Since the train station is not exactly in the middle of the city as it’s about 3 kilometers south of downtown Yerevan, there is plenty of space around the train station for gardens. The gardens were made to look grandiose like the train station, and even though they’re well maintained today, they weren’t as well-kempt in the past. There is also a restaurant at the train station, which services plenty of passengers on a daily basis. This train station is also known as Sasuntsi Davit Station, as there is a statue dedicated to Sasuntsi Davit in the gardens. He was a local folk hero from the Middle Ages. 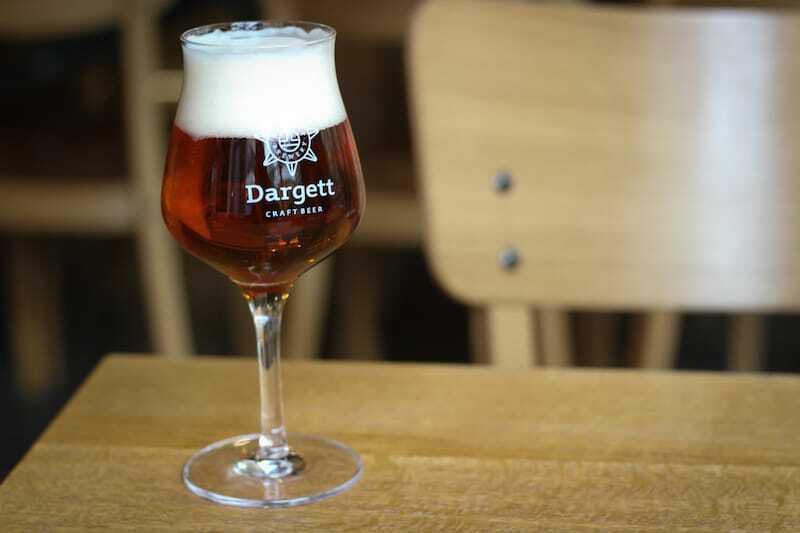 Davit is considered one of the most important characters in Armenian folklore and culture and he was the lead in the Armenian epic, Daredevils of Sassoun. David of Sassoun, as he’s also known, is responsible for driving out the Arabs in around the 9th century, which is why the statue is so majestic and grand. As the Soviet regime had started losing momentum, and the collapse started to become more apparent and imminent, the train started falling into disrepair. It was more and more difficult to maintain it, until it was almost entirely abandoned, except for a few key lines. However, in 2008, it was entirely renovated, as the state-run Armenian Railways gave Russian Railways rights for full use. The concession period is meant to last for 30 years, with a chance to have an extension of ten years if both parties agree to it. Yerevan trains aren’t exactly fast and speedy and don’t serve too many places. The station, however, is connected to a few of the key locations. 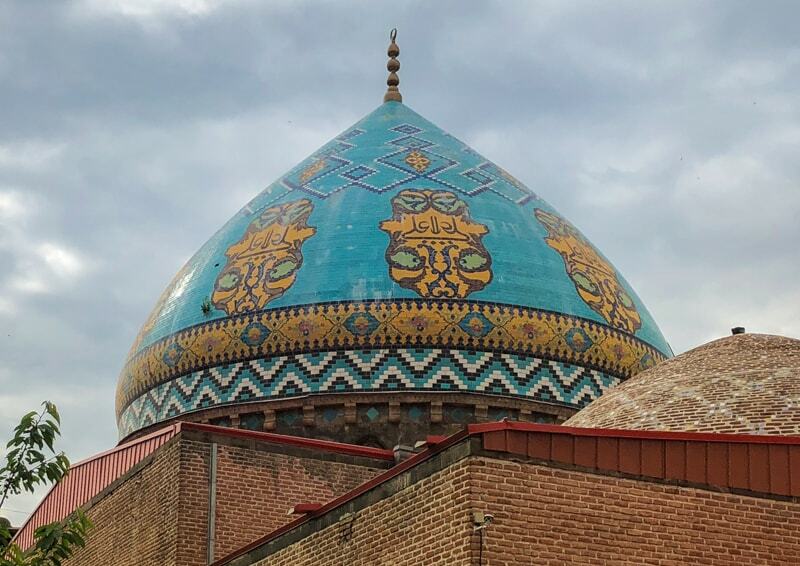 There are direct lines to Gyumri and Tbilisi, as well as a few other destinations. The Yerevan Train Station can be found at Tigran Metz Avenue around 2.7 kilometers from the center of Yerevan (Republic Square). The Yerevan Railway Station can be reached easily via the metro. You will need to disembark at Sasuntsi Davit Metro Station and it is located right above that. 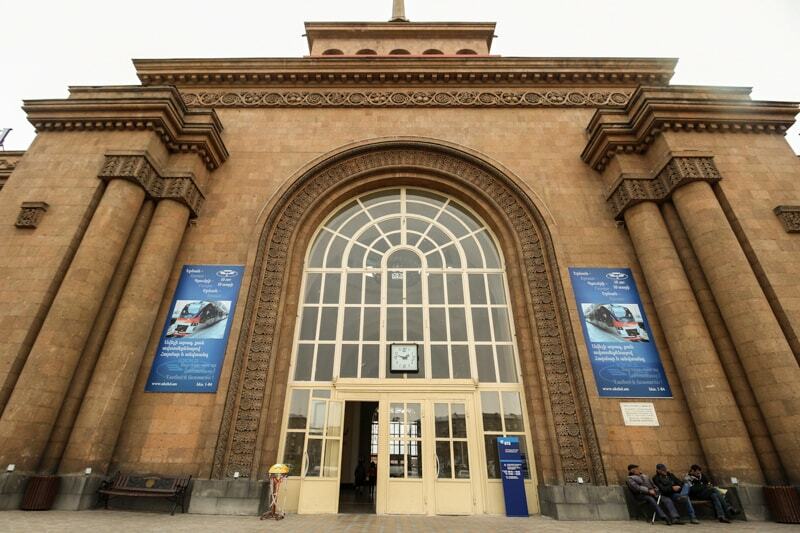 The Yerevan Railway Station is open 24-hours of the day, 7 days a week. If you’re looking for more information regarding the train schedules going to and from Yerevan, click here.